Algorithmic trading is becoming the industry lifeblood – it is cheaper, faster and easier to control than standard trading and it enables you to pre–think′ the market, executing complex math in real time. We are no longer limited by human bandwidth′, but the industry is secretive with few willing to share the secrets of their success. An Introduction to Algorithmic Trading is an introductory guide to this hugely popular area. It begins with demystifying this complex subject and providing readers with specific and usable algorithmic trading knowledge. It outlines the current trading algorithms, the basics of their design, what they are, how they work, how they are used, their strengths, their weaknesses, where the industry is now and where it is going. The book then features a section describing the choice of stocks to trade on the NASDAQ and the New York Stock Exchange, analytics, and metrics used to optimize trading results – and for the more adventurous reader, a section on how to design trading algorithms. 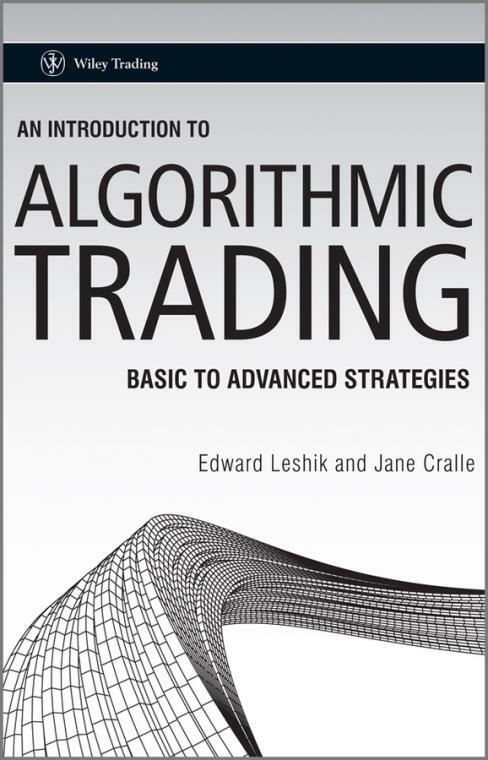 Finally the authors demonstrate a selection of detailed proprietary and never before seen algorithms targeted exclusively for use by individual traders to trade their own accounts. These algorithms have been developed and used by the authors and are being published here for the very first time. This is an ideal book for the reader interested in understanding and harnessing the power of algorithmic trading systems, and is accompanied by a CD Rom which provides a quick hands on′ route to exploring the power of algorithmic trading on trade NASDAQ and NYSE stocks.